Many homeowners don’t realize that roofing installation in the winter is completely possible. Homeowners also may not realize that there are special steps to take to ensure that your roof is installed safely and securely. Keeping your new roofing shingles warm is one of the keys to successful roofing installation in the winter. When temperatures dip below freezing, shingles become quite fragile. This is the case for asphalt shingles, but it also applies to other styles of roofing as well. Since the shingles can become brittle and break apart during the cold weather, it’s important to keep them as warm as possible before installation. This is achieved by storing the shingles in a heated area or even a warm warehouse until they’re ready to be installed. While installation is in progress, the shingles are often protected from the cold in order to keep them as flexible as possible. 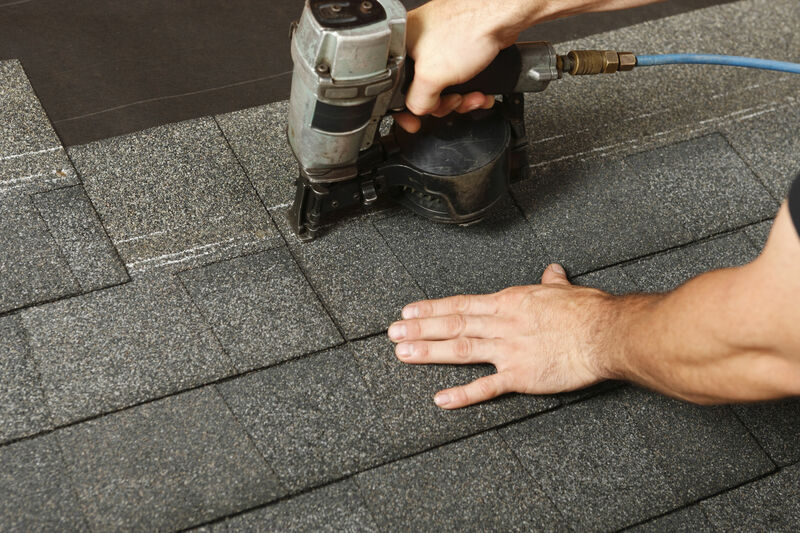 One of the complications that arise with winter roof installation comes from the shingle’s adhesive. Most modern roofing shingles come equipped with self-sealant strips that bond with the help of sunlight. It can be tricky to get these shingles to stick when temperatures get too cold, so proper care must be taken when sealing the shingles in place. If the shingles cannot bond in the current temperatures, they must be hand-applied by the installation crew. This involves adding approved cement from the manufacturing underneath every shingle with a caulking gun. Without this special step, your shingles are susceptible to blowing away in the wind or falling off your roof. While roofing is possible in the winter, it’s also up to the installation company to determine what is safe and reasonable for winter installation. For example, the project manager should determine if hand sealing should be performed due to the cold. Furthermore, the comfort of the crew is also a consideration. Wearing heavy jackets, pants, and boots can easily add 10 pounds or more to your body weight. This can make it difficult to move around on your roof, especially when temperatures are very cold. If the temperature is much below freezing, the crew may need to wait it out until temperatures warm up a little. This is determined on a case-by-case basis with the best interest of both the homeowner and the installation crew in mind. If you need your roof replaced this winter, contact Universal Windows Direct for expert winter roofing installation and premium products.